Unbroken Bonds, which at 214 cards (plus secret rares) ranks alongside Lost Thunder and Skyridge as one of the largest Pokémon TCG set of time, is set to contain SEVEN brand new Tag Team GX Pokémon including Charizard & Reshiram and Sylveon & Gardevoir. Let's take a look at these stunning new cards, all illustrated by popular TCG artist Mitsuhiro Arita! Let's start with the most one of the most hyped and anticipated duos from the set, Reshiram & Charizard Tag Team GX! 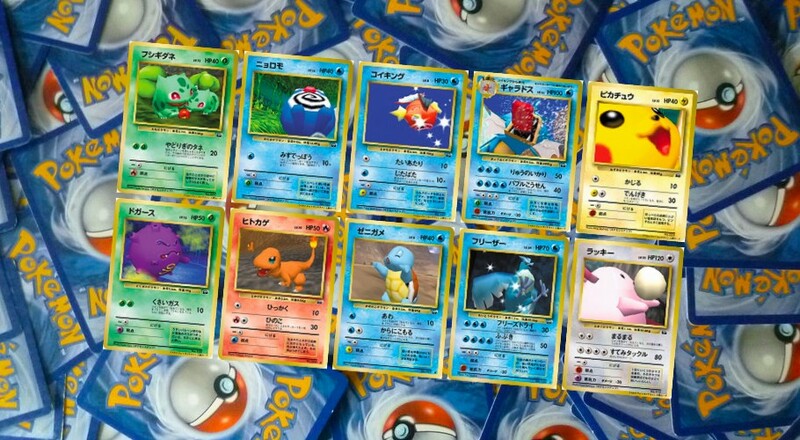 Any set that contains a new Charizard card (especially the "normal rare" Mitsuhiro Arita illustrated one above) will always be popular amongst collectors, but with the potential to have an alternative art version, full art and hyper rare in the same set which contains 214+ cards, these won't be cheap at launch of the set on May 3rd. 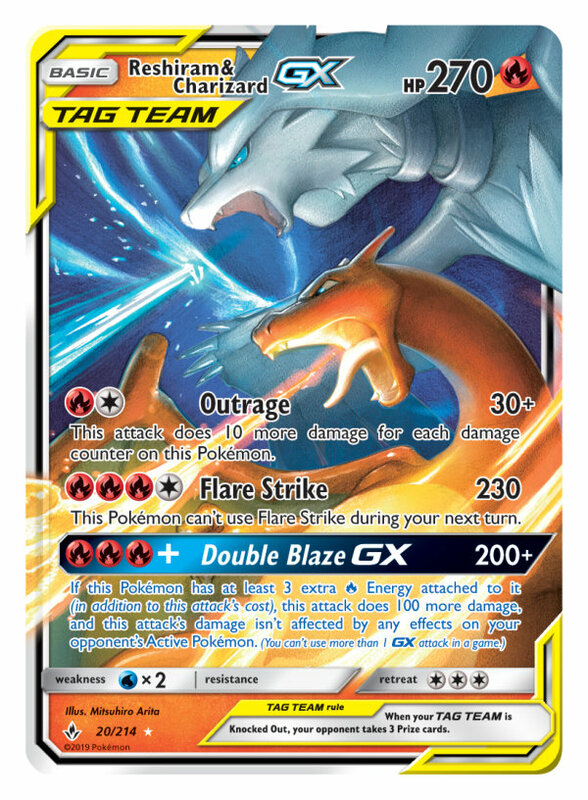 Combined with the fact that it's also a strong card (potential Tier 1 deck in combination with all the Fire-type support in the set), and that there are 218+ cards in the set, collectors and players alike will be scrambling to pick up these Reshiram & Charizard GX Tag Team cards as soon as possible. Expect the alternative art and hyper rare versions to possibly be the most expensive cards in the set if the hyper rare Charizard-GX from Burning Shadows is anything to go by! I for one am excited to pick up a couple copies to get PSA graded, as I imagine they will be good long-term investments, especially if the set sells out quickly like with Ultra Prism and Team Up booster boxes. 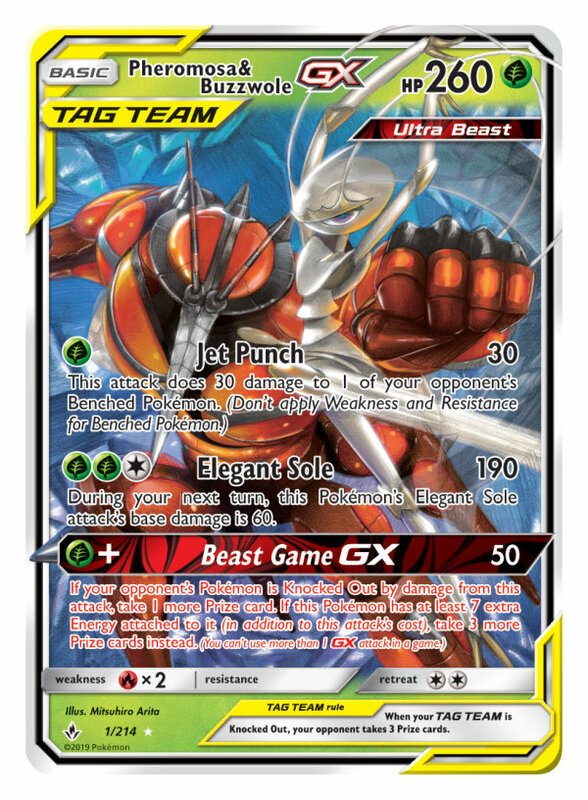 #1 card in the Unbroken Bonds set (full list TBC) is another literal powerhouse combination, the Sun & Moon Ultra Beast duo Pheromosa & Buzzwole Tag Team GX. When the Ultra Beasts were first introduced to the Pokémon TCG in 2018's Crimson Invasion set, collectors and players alike greeted them with mixed reactions. However for the latter group, there is a lot to love about this card. Pokémon TCG players look to tournament results in Japan for future best decks for when sets are released in the West, and Pheromosa & Buzzwole GX have seen an incredible amount of success as a deck all on their own, just needing 4 copies of the card and no other Pokémon, partly due to the incredible GX attack and synergy with the Beast Ring trainer card. Along with Reshiram & Charizard GX, it's expected that Pheromosa & Buzzwole GX will be one of the big chase cards from Unbroken Bonds, so Ultra Beast and set/binder collectors should make sure to pick up their copies early before both the cards are legal for tournament play on May 17th. In recent years both Greninja and Zoroark have seen a lot of love across the Pokémon world, seeing multiple TCG cards, appearances in movies/anime, and in the case of Greninja, being voted the most popular Pokémon of all time in a 2016 poll. It's no surprise that these two Dark-type favourites were chosen to be brought together for a Tag Team card, but the end-result is even more satisfying with a stunning half/half design on the "normal rare" GX card pictured here. The card hasn't seen much play yet in Japanese events so after the initial hype from the set has dropped slightly, you should be able to pick up this card in the $5-8 (USD) range. 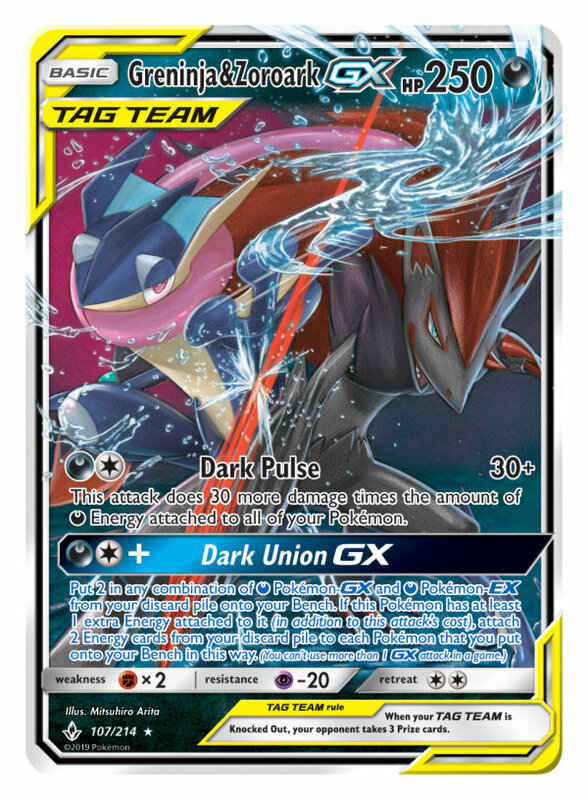 In the Expanded format this card has more potential in "Turbo Dark" deck variants, partnering with cards such as Darkrai-EX (Dark Explorers & Breakpoint) and Max Elixir to power up his strong Dark Pulse attack quicker. Weighing in at over 300lbs, another unexpected but very welcomed Tag Team GX fighting duo... Marshadow & Machamp GX! 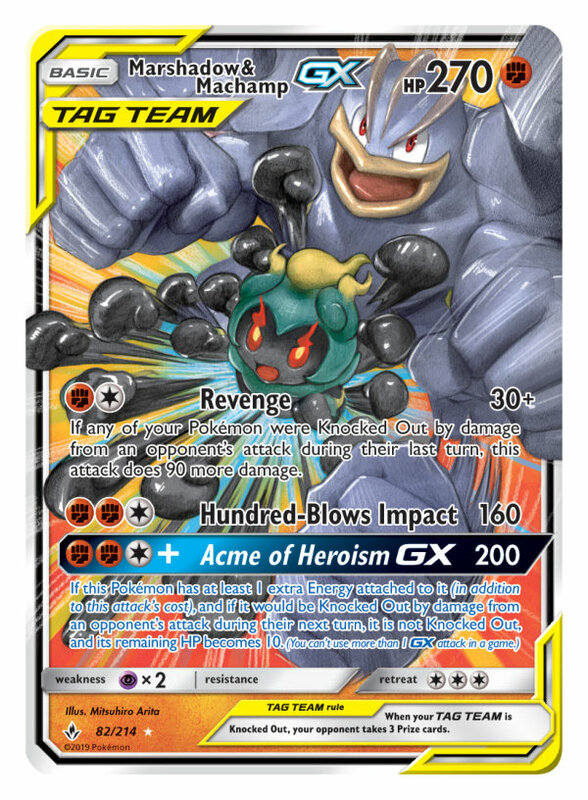 Both Marshadow and Machamp amusingly received their individual GX cards in 2017's Burning Shadows set, so it's very fitting that our first Fighting-type Tag Team GX card features both these popular Pokémon. The "normal rare" GX card here is another beautiful Mitsuhiro Arita illustrated card and is expected to popular amongst collectors. Fortunately like with Greninja & Zoroark GX, the card hasn't seen much immediate success in Japanese tournaments, so it should be affordable right off the bat at the Unbroken Bonds set launch on May 3rd. 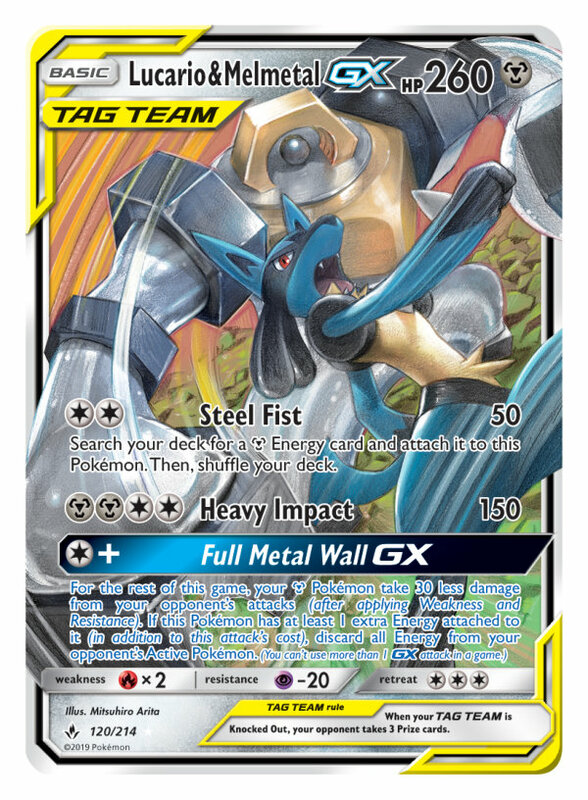 Our first Metal-type Tag Team GX card features the brand new Pokémon Melmetal who was first released recently in Pokémon GO, teaming up with arguably one of the most popular Metal and Fighting-types, Lucario. Since being introduced in Gen 4's Diamond & Pearl games, Lucario is seen as a fan-favourite, so it's no surprise to see him being included in one of our first Tag Team cards alongside the heavyweight mythical newcomer Melmetal. As well as undoubtedly being popular with collectors, Lucario & Melmetal GX has also seen tournament success in Japan, finishing runner-up to Pheromosa & Buzzwole GX at the recent 1600+ player Champions League Chiba event partly thanks to its powerful GX attack that reduces all damage done to Metal-type Pokémon throughout the game. Many didn't see the slimy duo of Muk & Alolan Muk coming, as the majority of the Tag Team cards revealed so far often feature contrasting Pokémon of the same type, usually different sizes. 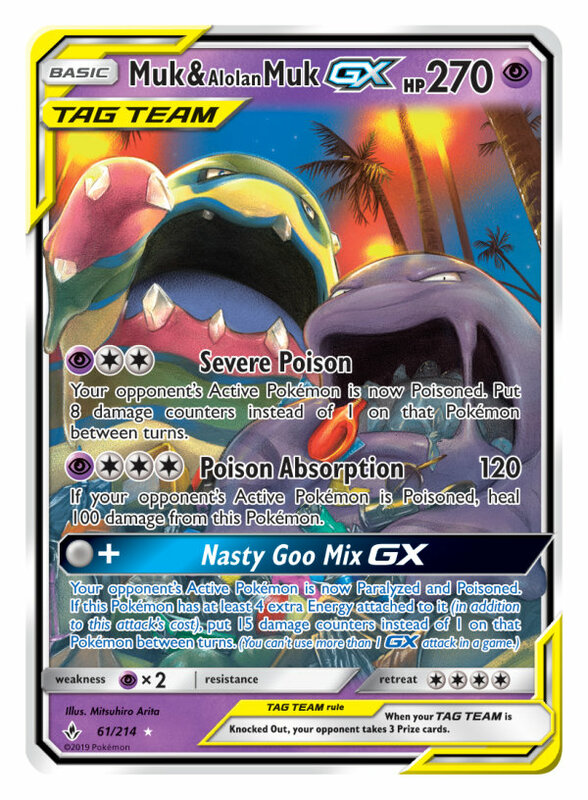 Unfortunately as is often the case with many Tag Team cards due to the vast amount of text on the card it obscures much of the art on the card, so I can't imagine many collectors/casual fans will want to pull this Tag Team over the others in the set unless they are fans of Psychic-type cards or Muk in particular. Despite the heavy energy requirements, the card is seeing some play in the smaller city/shop style tournaments in Japan. In combination with the Malamar from Forbidden Light, its not out of the realms of possibility to see this being played in the West. The GX attack potentially doing a massive 150 damage between turns from poison is nothing to be laughed at! Last but definitely not least from Unbroken Bonds new Tag Team cards, it's two of the most popular Fairy-type Pokémon from recent years, Gardevoir & Sylveon GX. Eevee and its Eeveelutions have always remained incredibly popular amongst many fans, so it's not a surprise to see our first Fairy-type Tag Team GX card feature Sylveon. Gardevoir also has been a Pokémon TCG favourite and also features prominently in the anime so she makes a very fitting partner for Sylveon. Not just a beautiful art, the card has seen a good amount of success in Japan, making Top 8 in the Champions League Chiba event, being partnered with the Ribombee from Lost Thunder which prevents cards like Guzma and Plumeria affecting Fairy-type Pokémon. Any set featuring new Eeveelution cards always will be popular, so the fact we have multiple Reshiram & Charizard GX cards alongside Gardevoir & Sylveon GX makes Unbroken Bonds even more hotly (pardon the pun) anticipated than other sets in recent months, possibly even more than Team Up that first introduced us to the Tag Team cards in a set. In addition to this, it seems as if potentially all of the new Tag Team cards from the set (except possibly Marshadow & Machamp GX and Greninja & Zoroark GX) will see decent amounts of tournament play upon the set being legal on May 17th, combined with the huge amount of cards (214+ secret rares), will make Unbroken Bonds one to watch out for both players and collectors alike. Prerelease events for Unbroken Bonds start from April 20th at local gaming stores and Pokémon League venues worldwide. 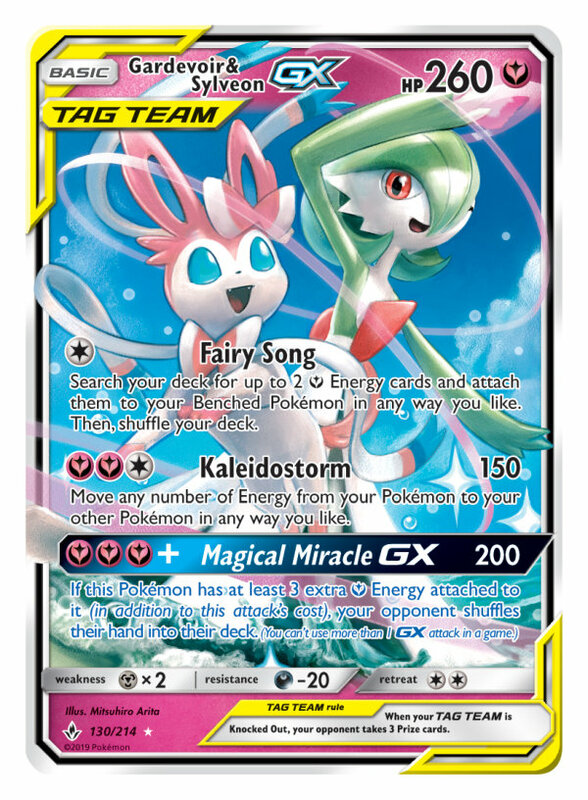 I can't wait to see all these stunning new Tag Team GX cards in person for the first time next month!